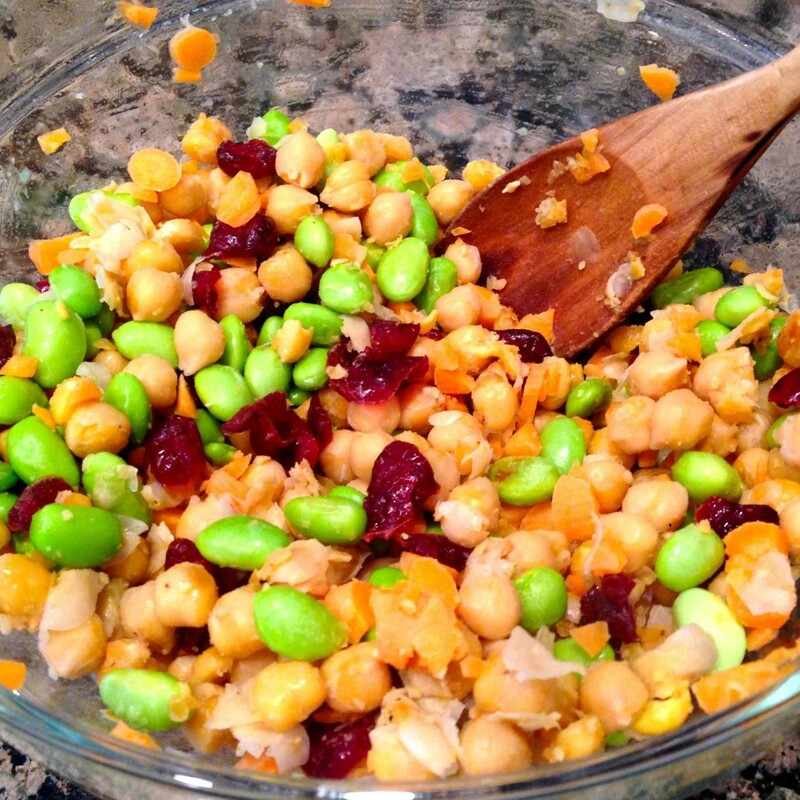 If you participate in Meatless Mondays (we don’t, but I like the concept), you’ll love this easy to make Chickpea and Edamame Salad. Last summer my mom discovered an amazingly healthy and conveniently prepackaged Mediterranean Salad called Cedar’s Chickpea Salad at Central Market. 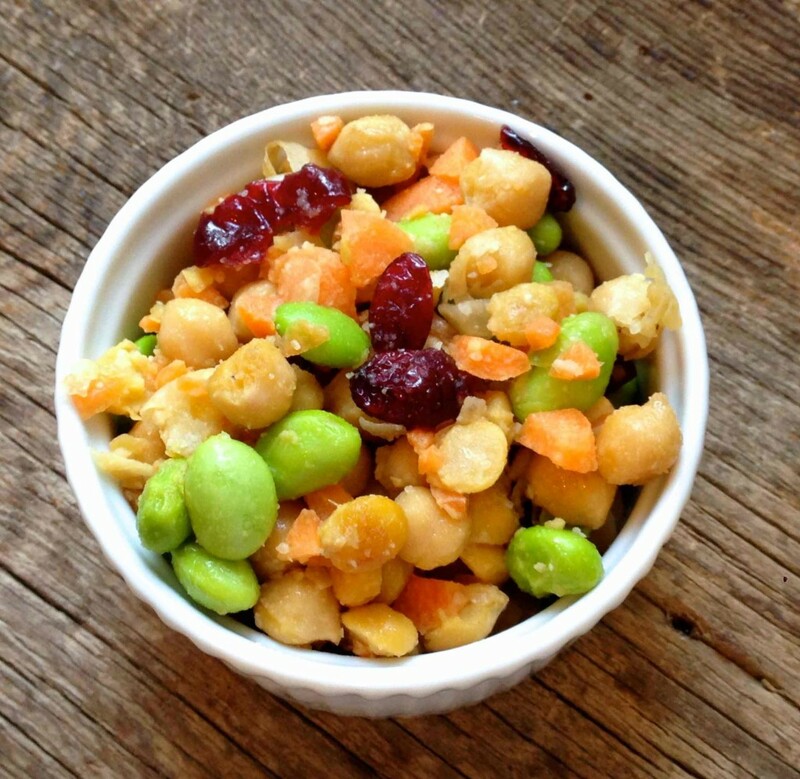 The great thing about this salad is not only is it healthy (it’s packed carrots that loaded with vitamin A, edamame which contains fiber, protein and vitamins, olive oil for healthy fats, and low-fat chickpeas for protein, energy-providing complex carbs and fiber), it’s also goes great with anything! Serve it as a salad with leafy greens such as arugula, pile it in a pita with shredded chicken, lettuce and hummus, or eat it as a snack with Central Market’s all-natural hummus (Spicy Texas Hummus is my favorite), or with Baked Lentil Chips with sea salt. Yum!!! 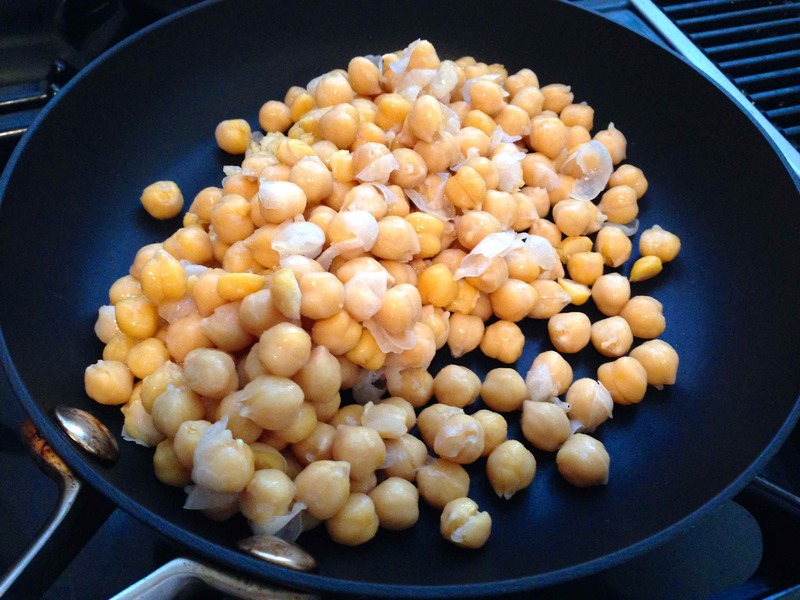 Toast chickpeas with a little olive oil over medium-high heat in a medium-sized skillet. Since the nearest Central Market is about 20 minutes away, in addition to have to pay a ridiculous amount of tolls, I was only able to get this chickpea salad when I visited my parent’s house on occasion. (Central Market is just 5 minutes from my parent’s house, and with no tolls). Since I don’t have time to drive so far to a grocery store, I decided to made my own version of Cedar’s Chickpea Salad so I could have it anytime I wanted. Plus, I found out that the homemade version is waaaay cheaper and super simple to make! Add the edamame. You can use frozen edamame beans if you wish. 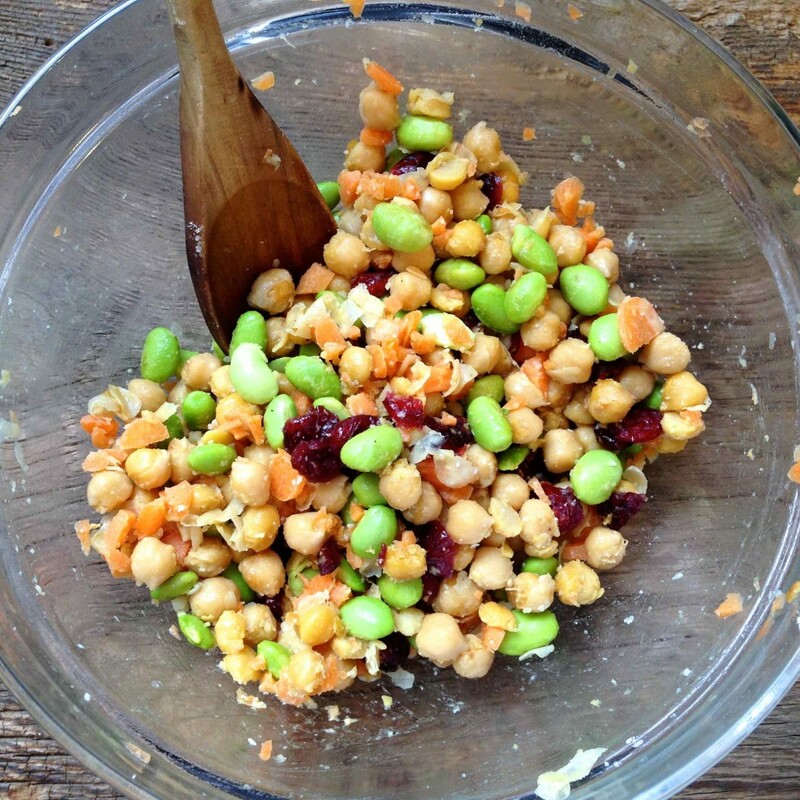 Cedar’s Chickpea Salad is all natural, so it wasn’t very difficult to figure out the ingredients I needed to make this salad. “A fresh blend of chickpeas, edamame beans, red and green peppers, carrots, a sweet touch of dried cranberries, and dressed lightly with olive oil and spices”, was the description according to Cedar’s packaging. I could definitely make this! While my recipe omits the green and red bell peppers, I have pretty much everything else that makes this salad so tasty. I went light on the dressing, only using 2 tablespoons of olive oil. If you want more oil, it’s easy to add and doesn’t involve cooking. I also added Parmesan cheese, which gives the salad a slightly cheesy and subtle nutty taste that I love. Italian seasoning was also added, but you could substitute oregano and/or basil if you wish. 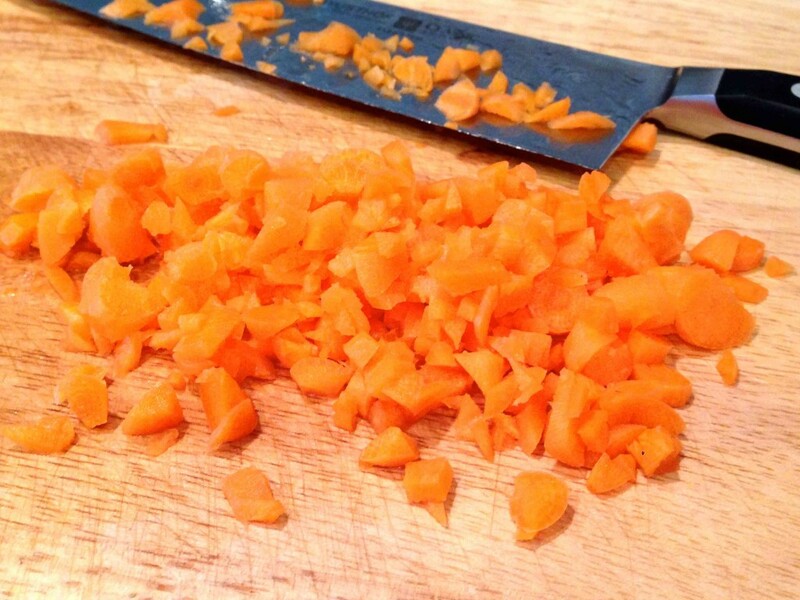 After chopping up the carrots, and combining all the ingredients, you are done. Enjoy!!! 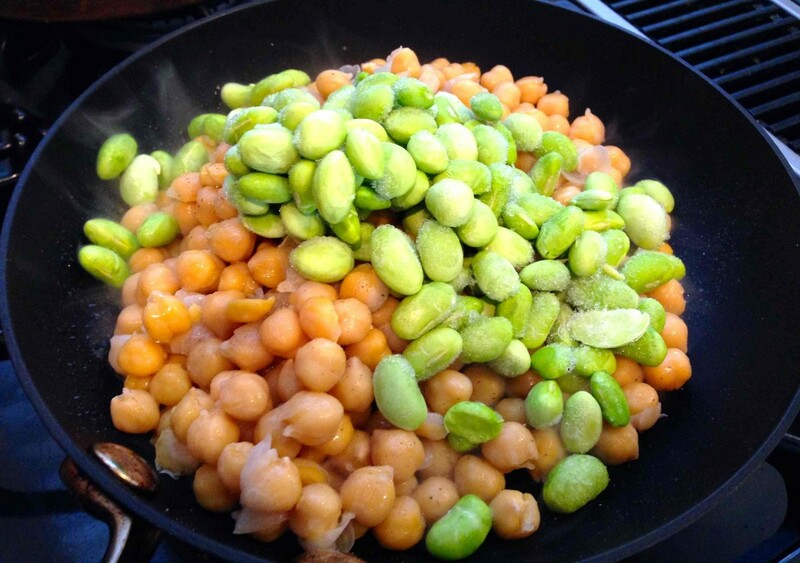 Once the edamame-chickpea mixture is toasted, combine all the ingredients in a large bowl. Heat a medium-sized skillet with 1 tablespoon of olive oil over medium-high heat. Add chickpeas and edamame. Season with salt and pepper and cook until slightly toasted and chickpeas are golden, about 5 minutes. (You may want to use a splatter screen because the chickpeas will start to pop). 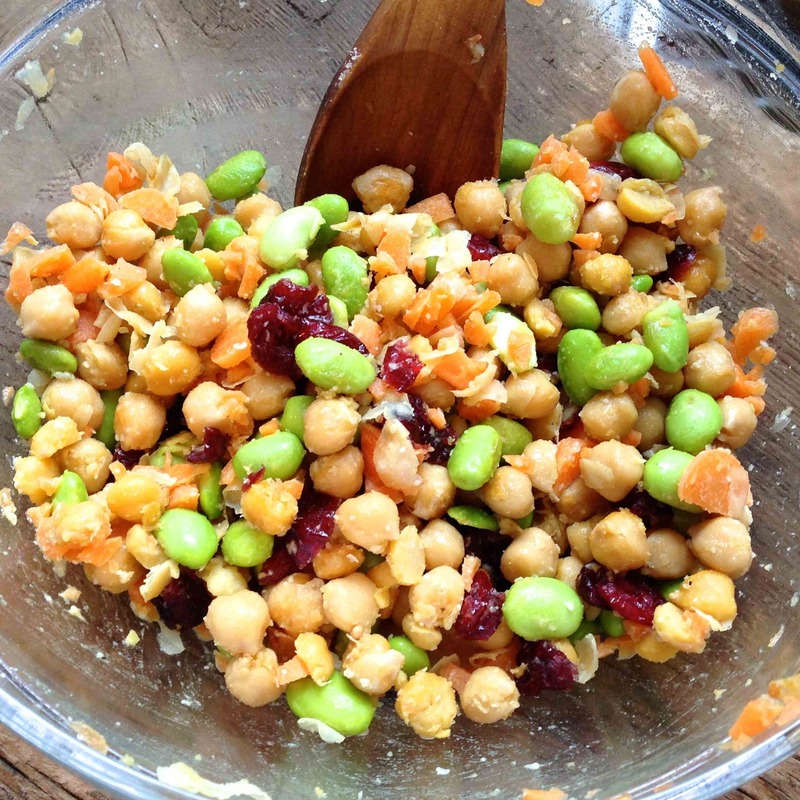 In a large mixing bowl, add chickpea and edamame mixture, carrots, dried cranberries, remaining 1 tablespoon of olive oil and Parmesan cheese. Serve immediately or chill in the refrigerator until ready to eat.